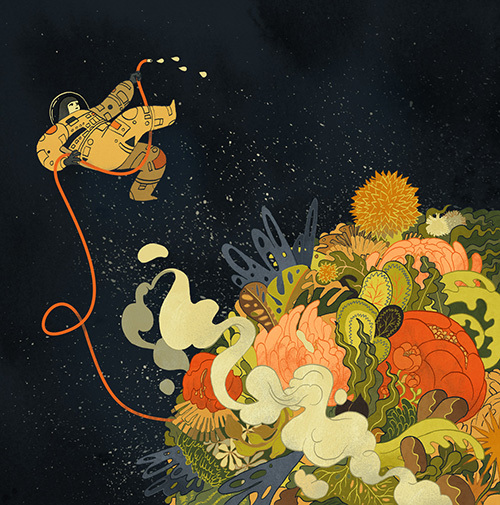 A 12 illustration series for T Brand Studio x Pinterest’s #whatifwednesday. 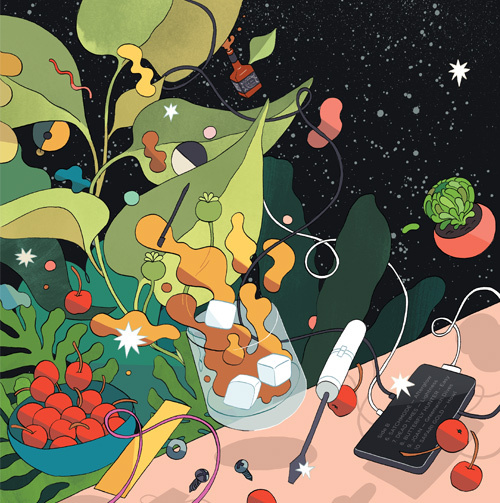 Art direction by Ellie Clayman. 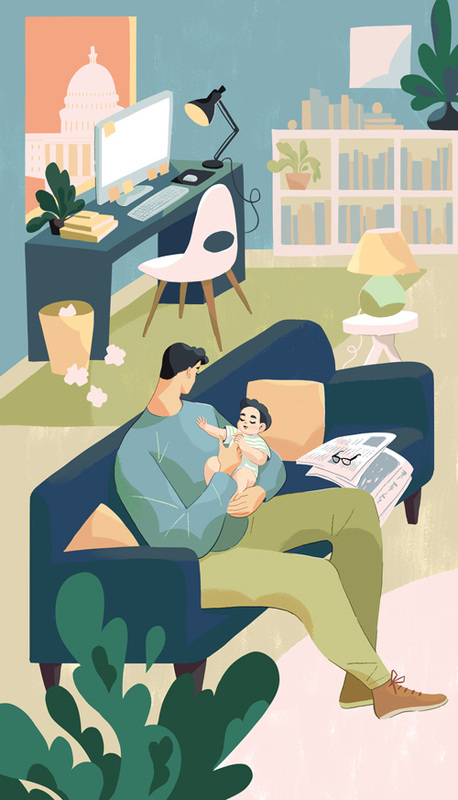 A section cover and 9 spots for a series of articles about parenting. One of the articles can be read here. For Intercom’s “Product launches are hard but what comes next is even more important”, which can be read here. Works created for Helikon Gallery’s group exhibition, ‘Peopled Places’. ‘Peopled Places’ celebrates the ways in which we interact with and find inspiration in the places around us, both real and imagined. 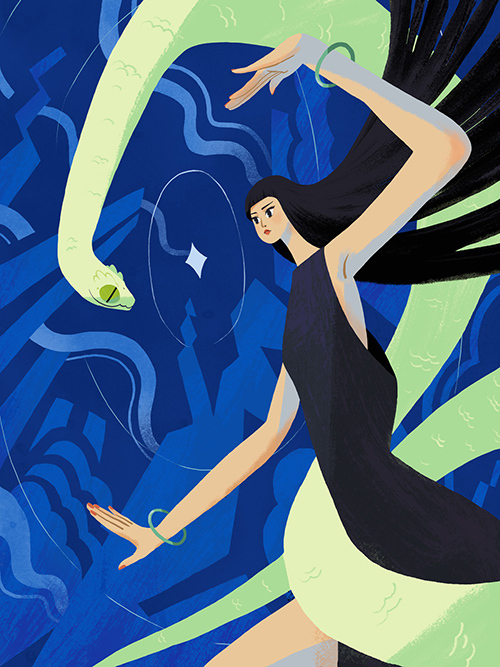 A personal piece about collecting falling stars. 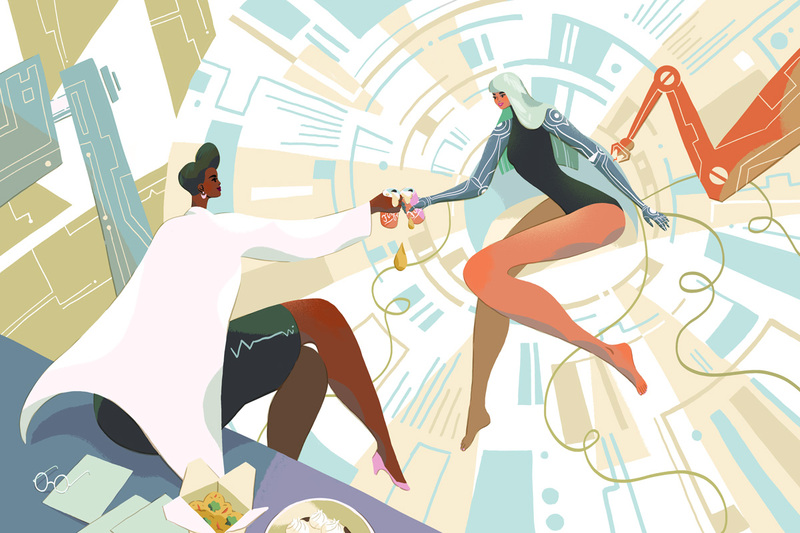 Self initiated piece reworking a discarded concept while featuring women in science. My first for The Globe and Mail and probably my tightest deadline thus far! “A Few Burning Questions” focused on answering summer-relevant questions. 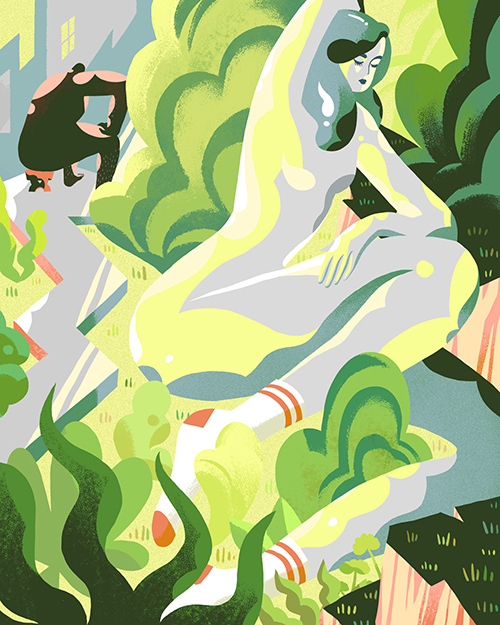 Details of the illustration also doubled as spots throughout the article.Art Direction Bryan Gee. The article can be read here. 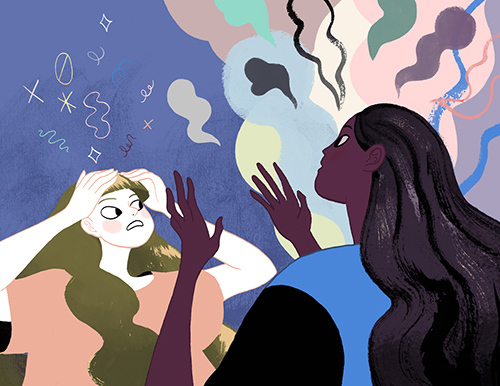 For an article about how asking why is not always the best strategy. Thank you to AD Stewart Scott-Curran. 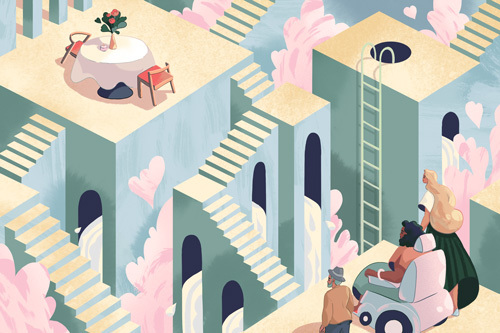 For an article about how many restaurants don’t comply with The Americans with Disabilities Act, failing to accommodate and welcome their disabled guests. The article can be read here. 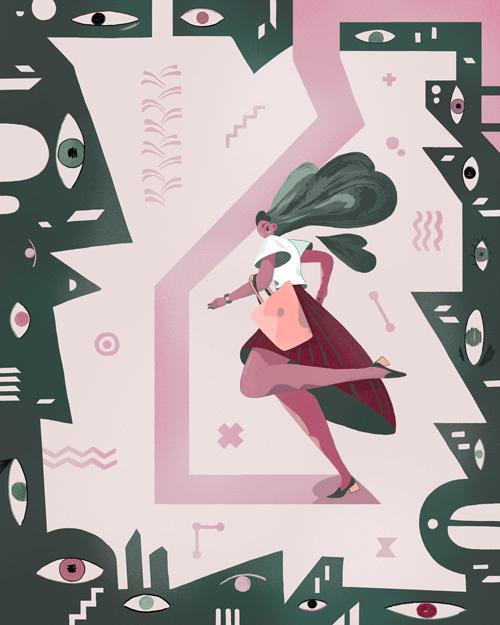 A piece about the unwelcome and anxiety-inducing gazes women sometimes receive from merely walking home. 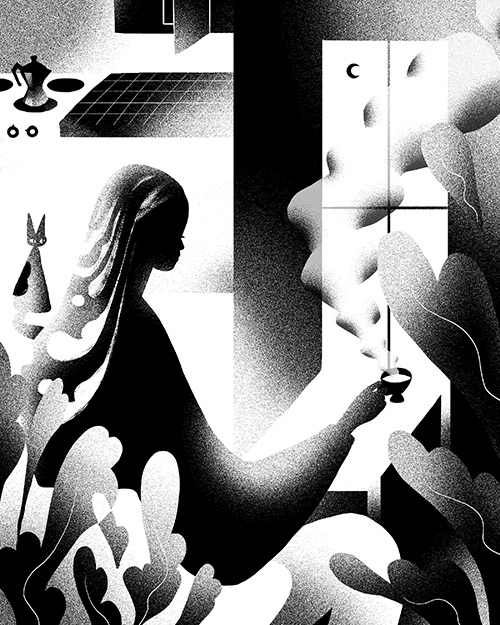 A personal piece about a clouded state of mind. 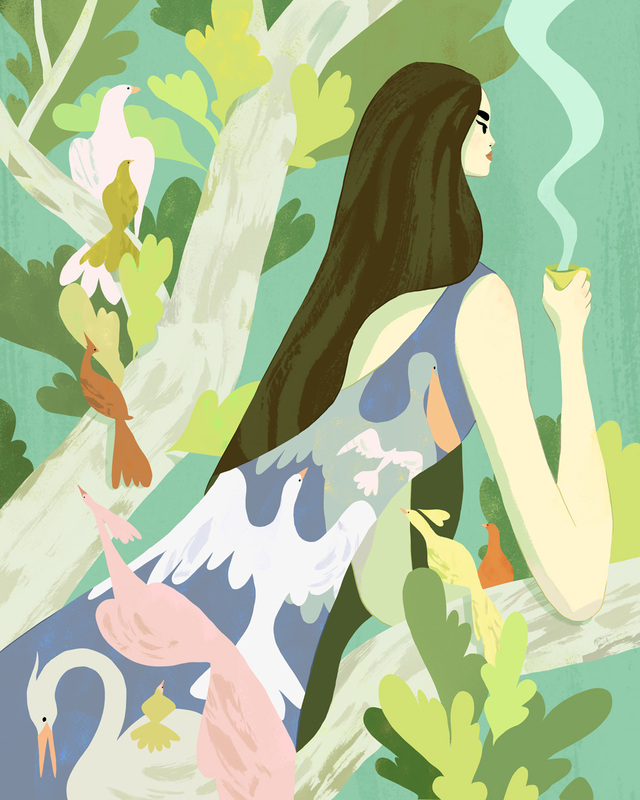 My piece created for The Great Outdoors charity group show! A print version is available here. 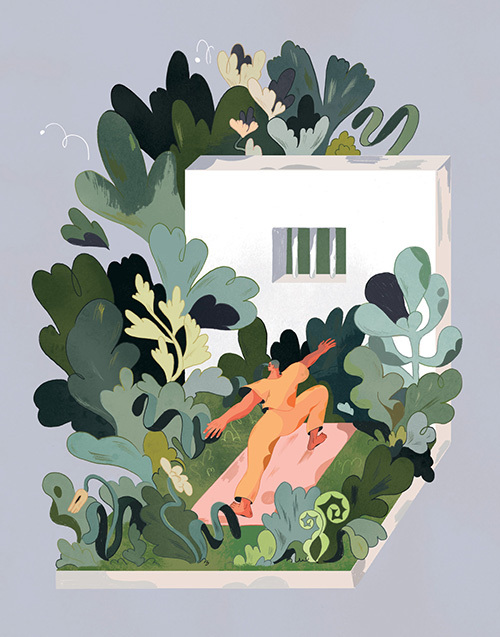 For an article about yoga in prison for Phoenix Magazine. Art direction by Mirelle Inglefield. The article can be read here. 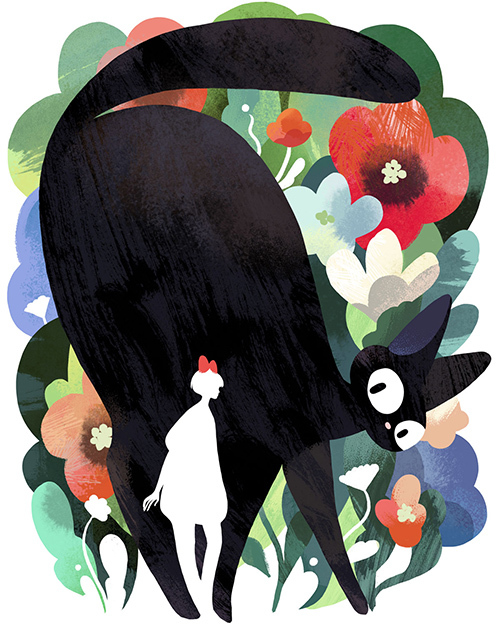 A personal piece celebrating the Studio Ghibli film, “Kiki’s Delivery Service”. A print version is available here. 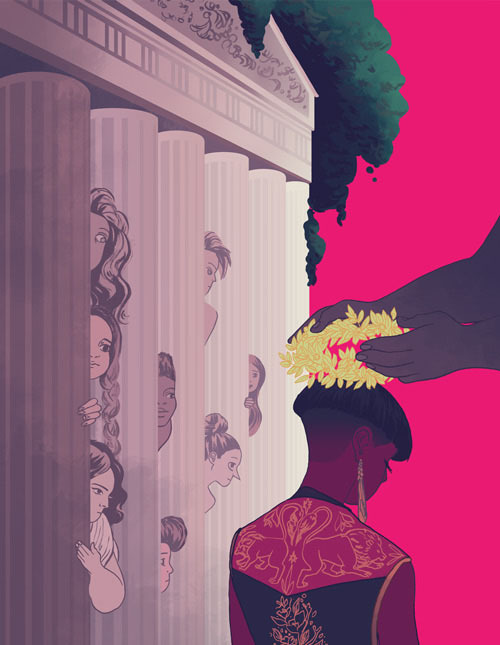 A personal piece inspired by Roxanne Gay’s short story about the stone thrower and the glass woman. 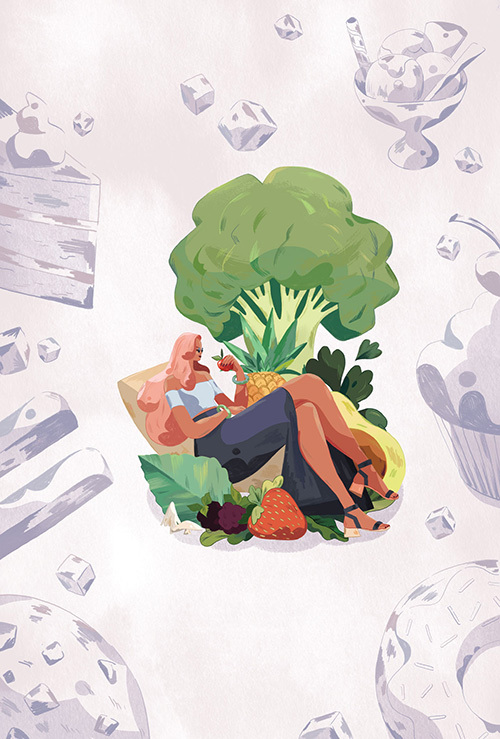 Cover art for an article chronicling one woman’s determination to shed her addiction to refined sugar. 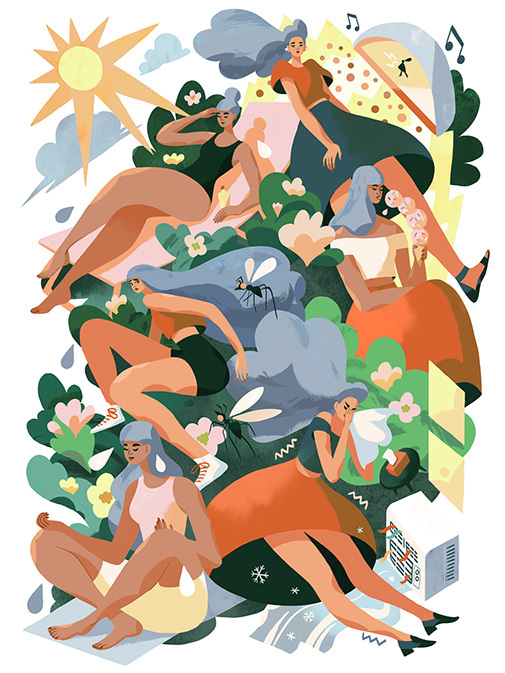 Art direction by Brittany Volk. You can read the article here. 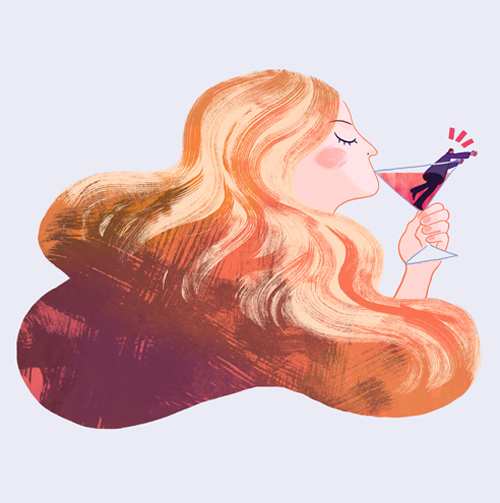 A set of animated GIFs to wile away the winter blues. 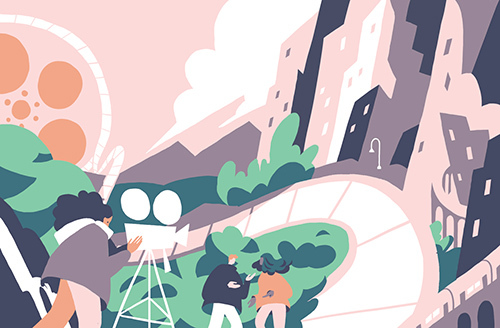 An opening illustration and spots accompanying a list of Best Places to Live and Work as a Moviemaker in 2017. Thank you to AD Kelly Leow! 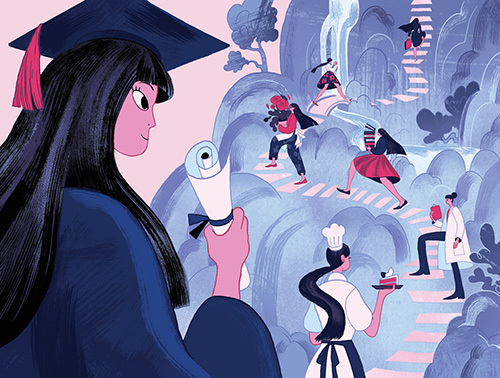 Two pieces, ‘What Would It Take to Replace the Pay Working-Class Americans Have Lost?’, ‘Why voters don’t buy it when economists say global trade is good’, and ‘Graduating and looking for your passion?’. Thanks to AD Minh Uong! 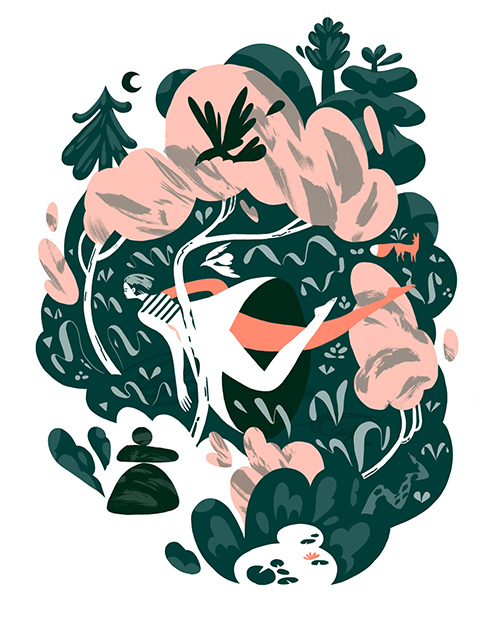 My piece for Light Grey Art Lab’s Midnight exhibition. A print version is available here. 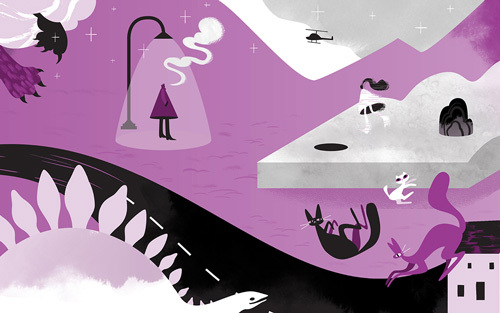 A triptych celebrating the podcast Welcome to Nightvale. Each piece of the series is desktop sized and can be used as a wallpaper. 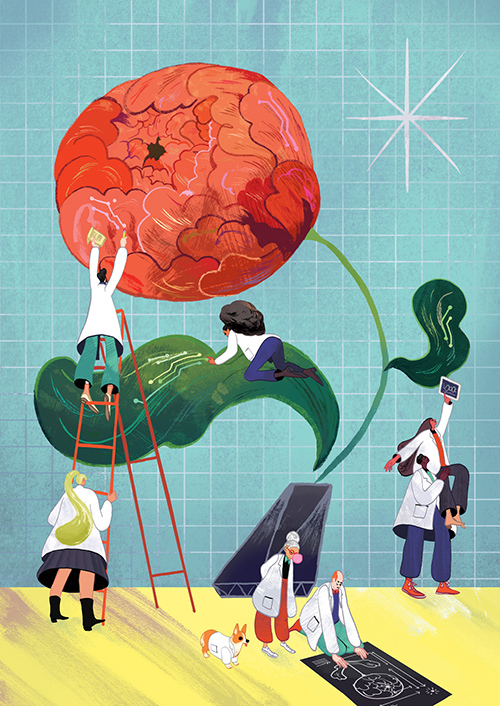 Various illustrations and spots for the Washington Post and Washington Post Magazine. 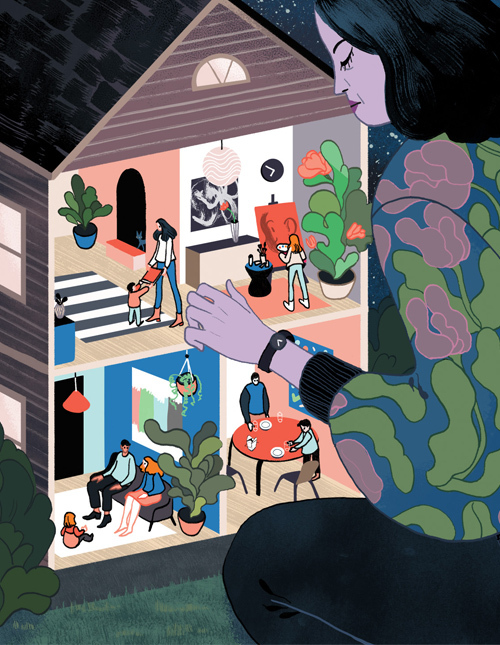 An illustration accompanying the story of two families living happily in a two-family house and their subsequent disconnection after the narrator’s family moves away. The article can be read here. Many thanks to AD Jane Martin! Each one of us is alone in the world. He is shut in a tower of brass and can communicate with his fellows only by signs and the signs, and the signs have no common value, so that their sense is vague and uncertain. We seek pitifully to convey to others the treasures of our heart, but they have not the power to accept them, and so we go lonely, side-by-side but not together, unable to know our fellows and unknown by them. Album art for the monthly vinyl record subcription service. Includes intertwined cover art, as well as 6 inside panels which tell the converging stories of a lonesome girl and her confident older self. A personal piece inspired by a snowy February. Inspired by the recent discovery of water on Mars. Achieving grandiose goals through the process of teamwork. A series of spot illustrations accompanying stories about unpleasant and sometimes bizarre dating encounters. The article can be read here. Many thanks to AD Vinnie Neu! 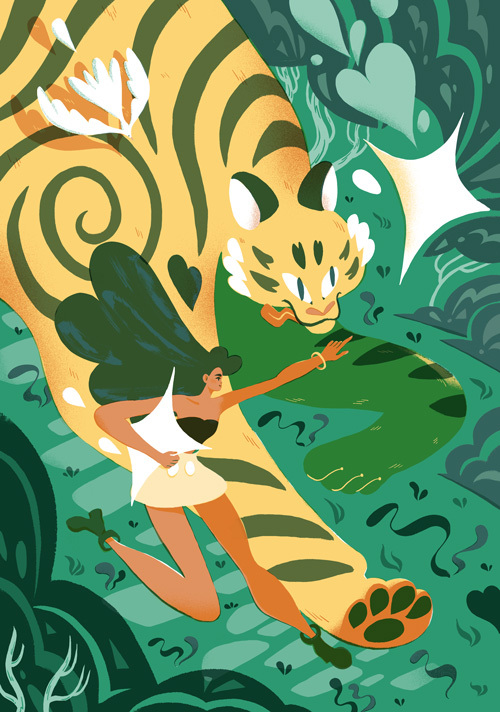 A zine retelling the ancient Greek myth of Atalanta and the Footrace. Visual musings inspired by Alabama Shakes’ album, Sound and Color. 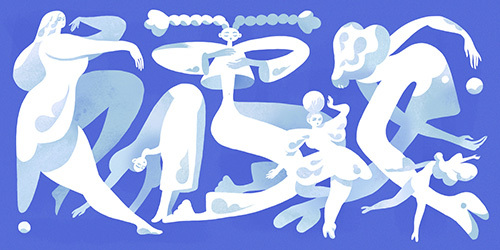 These were originally designed as animated gifs and can be seen in motion here. 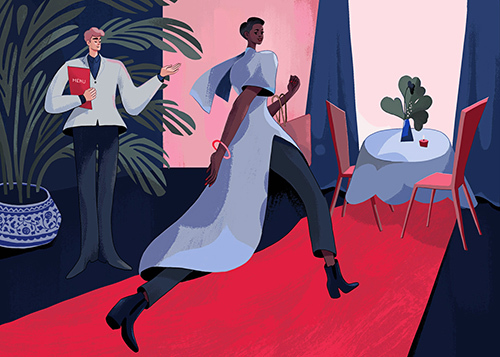 Art for OpenTable’s ad campaign accentuating unique, exclusive dining experiences. 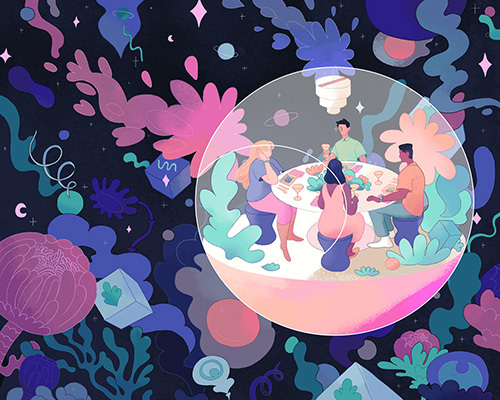 The direction was to house different, distinct dining scenes inside terrariums. 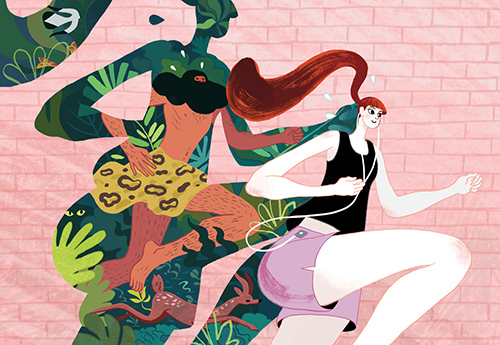 For an article linking the modern runner’s high to her prehistoric roots in hunting. Thanks to AD Keith Webb for the extensive feedback on this. The article can be read here.